We are excited to inform you that Freor Lt, UAB renews its brand. 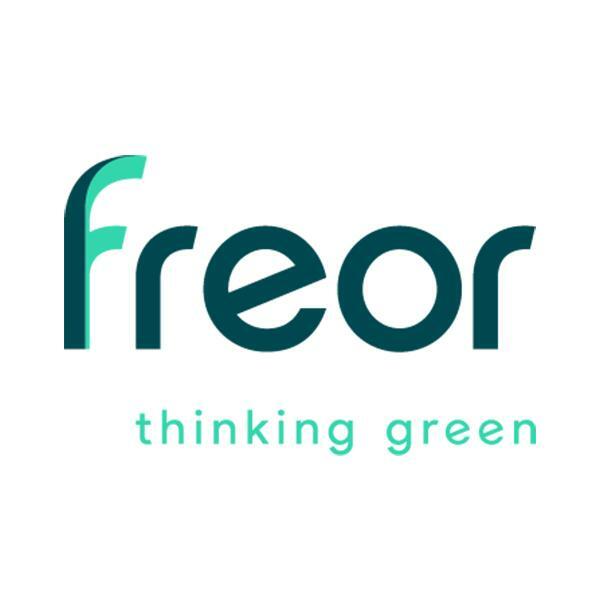 A new Freor logo will replace Freor trademark, which was developed ten years ago. A logo will be accompanied by a slogan “Thinking Green”. Our new visual identity is an expression of focus on quality, energy efficiency, and ecology. Our objective is to help our clients to develop their business through continuous improvement of the quality of our refrigeration equipment and by offering innovative refrigeration solutions. We have grown over the last years, developed new commercial refrigerator models and improved technical parameters of the existing models. We give full attention to minimizing negative impact on the environment and invest into solutions, which enable clients reducing electric energy consumption. Also Freor develops new refrigeration technologies, which allow achieving an excellent refrigeration efficiency using a smaller amount of Freon gas and eco-friendly natural refrigerants, such as propane gas. High quality standards of Freor are also witnessed by recently acquired ISO 9001, 14001, and 50001 certificates. Along with a renewed brand, we undertake to further raise the level of our products and remain flexible to the needs of our clients – Freor will not only help selecting the best refrigeration equipment solutions, but will also help choosing furniture to fit the style of your shop, the interior design, or the range of food products exposed. We would like to take this opportunity to extend our sincere THANKS to our clients and business partners for loyalty and opportunity to work together as you open a new page of your business success.